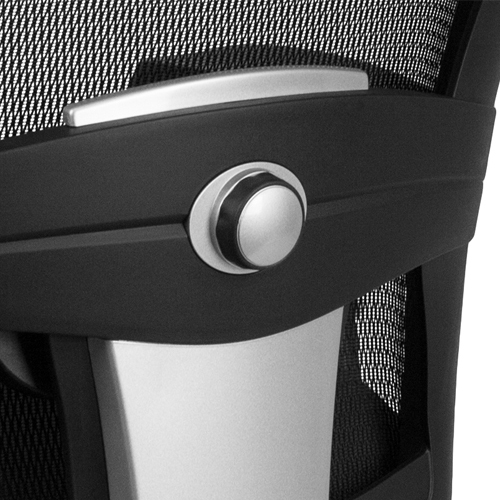 This office chair has been our best seller since it was launched. It's vast array of features, rugged durability, and extra wide seat make it a fan favorite. "This chair is fantastic. I’m a big guy and also wanted something that was very strong and would last. This is the chair, very solid construction." 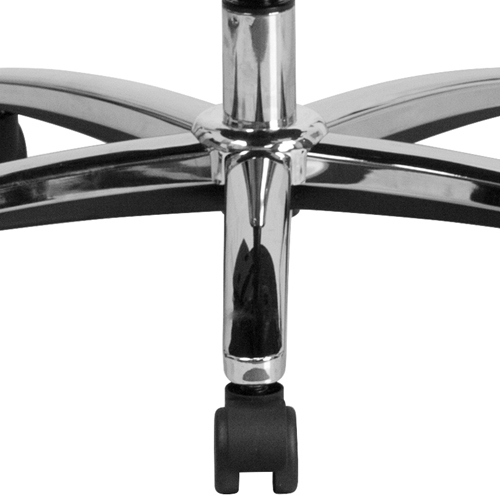 The foundation of this Big & Tall office chair is a heavy duty metal base - designed to last. Casters are outfitted with a metal pin, armrests are connected by metal brackets, the backrest is designed on a metal frame, and the mechanism is solid metal. This big & tall heavy-duty office chair was designed to meet your around the clock needs. Also known as multi-shift task chairs, a 24-hour office chair is designed for extended use or multiple-shift environments. This heavy-duty office chair can be used in a 9-5 setting, but it was specifically designed to meet the needs of workers in 911 dispatch offices, nurses' stations, call centers, control room engineers, disc jockeys, and government personnel. The big and tall design also aids in accommodating larger and taller body types. This 24-hour office chair has been tested to hold a capacity of up to 500 lbs., offering a broader seat and back width. The chair with adjustable back offers support to the mid-to-upper back region. 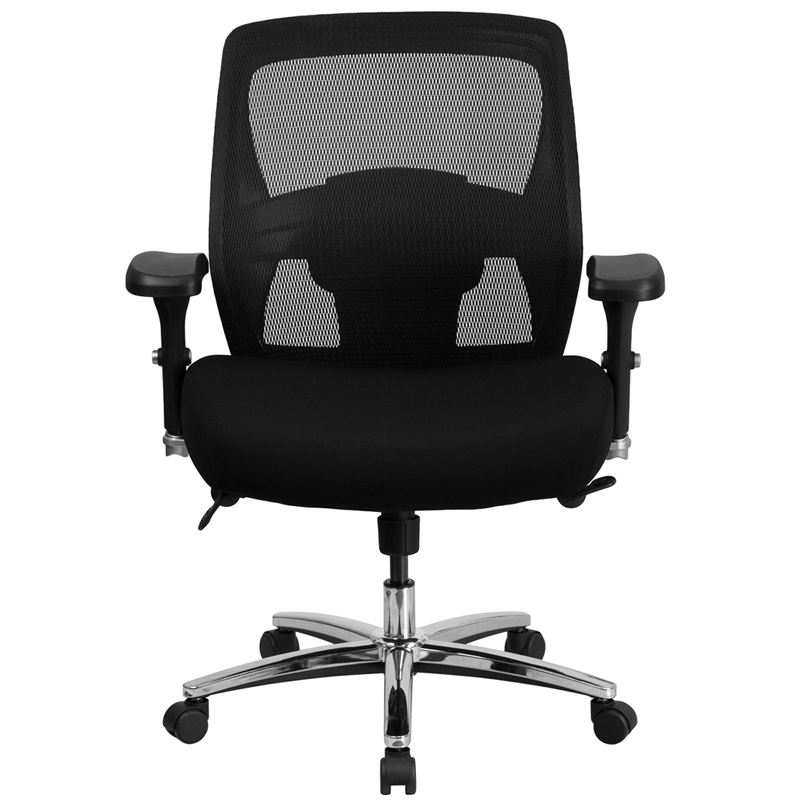 Mesh office chairs can keep you more productive throughout your workday with its comfort and ventilated design. This chair with adjustable back features built-in lumbar support and a molded foam seat that dissipates pressure points for greater comfort. The waterfall front seat edge removes pressure from the lower legs and improves circulation. The tilt lock mechanism offers a comfortable rocking/reclining motion. The free rein motion is great for taking a quick break from typing to answer phone calls and relax. Heavy-duty office chair easily swivels 360 degrees to get the maximum use of your workspace without strain. 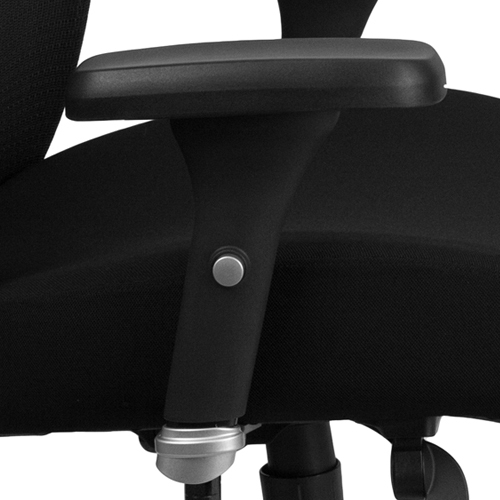 The pneumatic adjustment on this 24 hour office chair offers a very smooth adjustment range to achieve your desired height. 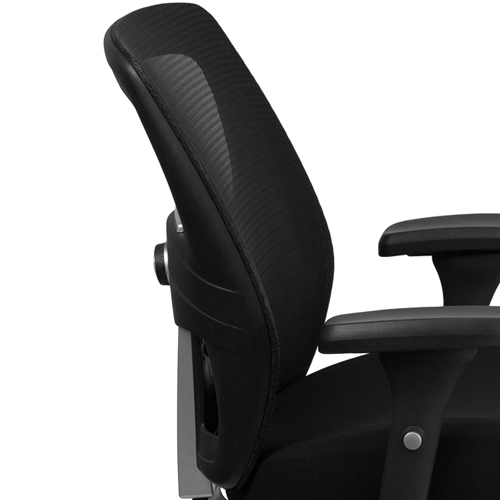 The adjustable armrests take the pressure off the shoulders and the neck, which minimizes the risk of pain. The heavy duty chrome base is constructed to keep up with the demands of an intensive use chair. If you need a chair that is a little bit larger, check out our Pro-Tough Executive Swivel Chair. This chair is fantastic. I’m a big guy and also wanted something that was very strong and would last. This is the chair, very solid construction. Easy to put together, only issue I had is the holes for the seat back were covered by the fabric used underneath the seat but was easy enough to correct without a phone call. Shipping was great only took a few days once shipped. Back to the chair though, as I was saying good quality all around. Very thick cushion, legs are very sturdy with a chrome cover for appeal. Most adjust are through a pre-installed cable system that easy to navigate but a little different at first, but can see that it adds more sturdiness to its functionality as well. Overall 5 stars, good quality, sturdy chair. Chair is far superior to other "big man" chairs from big box stores. Highly recommend. Ordering process was easy. Website descriptions seem very informative. Well made and very sturdy. Thank you for a nice product. Great customer service, quality chair and appreciate that there were plenty of options. Delivery time was outstanding! Thank you and wouldn't hesitate to do business with you again! End user is most pleased to finally have a sturdy, comfortable office task chair. We ordered 2 chairs and they both arrived very quickly. I contacted Customer Service to get tracking information and the charis actually arrived the same day! They also checked in with me to make sure that everything arrived and that everything was what I ordered. Not many companies take the time to follow up with their customers! Job well done!!! "The service representative with whom I spoke (Kim) was very courteous, polite, informative, and genuinely interested in my satisfaction / choice. Took shipment earlier than expected and the chair was in great shape. No damage or loss of parts. Fairly easy to assemble. Extremely satisfied with the product. Will definitely buy from these folks again." "Seriously THE best customer service I've ever had ordering any type of office supplies/equipment. I've never left a review for something like this but I can't say enough good things about our experience with husky office. Keep up the great work!"